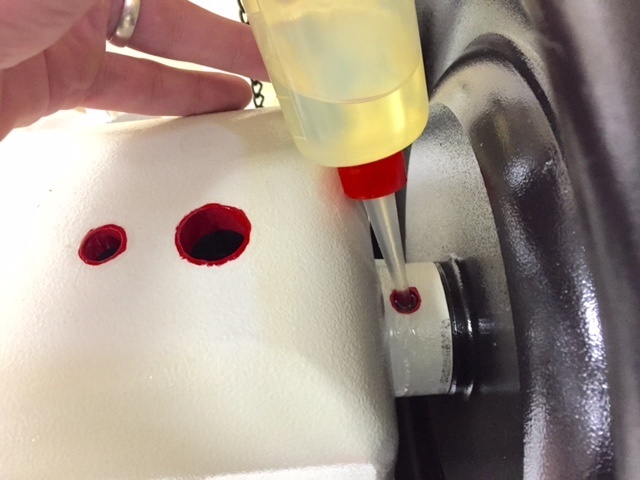 Oiling - all oiling ports (usually identified with red markings) should be oiled TWICE daily, as well as the contact points for the needle bar and drive cam. Look for oiling points and wear surfaces, and apply a good synthetic machine oil on all bushings and contact points. Compressed air blow down - the thread path, walking foot, feed dog and shuttle with raceway should be cleaned with compressed air to remove thread lube buildup, dust and debris that can accumulate over hours of sewing. Inspect and replace needle - low volme sewing may not require daily needle replacement; however sewing with dull or damaged needles is one of the biggest failure points for machine breakdown, and can lead to expensive repairs. Use a good quality needle and replace on a regular schedule. Inspect raceway underneath for thread or other debris - If found, stop sewing to prevent damage and have the race removed, inspected, and cleaned by a qualified technician. Listen for excessive noise - loud chattering, grinding, or other noises are early indications of the need to oil more frequently. Turn off machine when not in use - this protects the clutch motor and will greatly extend the life of the motor. Check for Wear - inspect needle bar, presser foot, adjusting arms, main shaft, and shuttle for looseness and side to side play. Tighten or replace as needed to prevent damage to the machine. Walking Foot Movement - check to ensure that when the foot presses down, the outer feet move up and forward. Throat Plate Damage - worn out, bent, and banged up throat plates will only contribute to sewing problems. Thread Tension Discs - these should be cleaned weekly using alochol or a non-water based solvent to remove any wax buildup, and checked for grooves that can damage thread. Also check tensions; top thread tensions are often set too tight, leading to skipped stitches and excessive wear to the tension control and thread. Needle Placement and Condition - check needle for correct insertion into the needle bar, and check needle for wear. In most cases needles should be replaced at least weekly. Don't attempt to sharpen the needle; this can cause thread and material damage. Remove Race and Shuttle - clean between the race plates with alcohol or a solvent based cleaner. Inspect race and shuttle for wear. Check the shuttle hook carefully for damage or dullness, especially at the smallest point. Lightly oil the race and shuttle before reassmbly and installation. Check Feed Dog - look for dull or damaged areas. Replace on a regular schedule, at least twice per year. Oiling - Oil all contact points and oiling ports will running the machine without thread or material. Three to five minutes of oiling every point while running will greatly extend the lift of the machine a save hours of downtime and repairs. These simple daily, weekly, and monthly preventative maintenance steps will make your sewing operation run more efficiently, and will save a ton of money in expensive machine repairs. If you have questions or need help with starting a preventative maintenace program, give me a call and I'll be happy to help! Dane helps our industrial sewing machine customers with machine repairs and technical support. He joined the Service Thread Industrial Maintenance and Engineering Team in 2011. 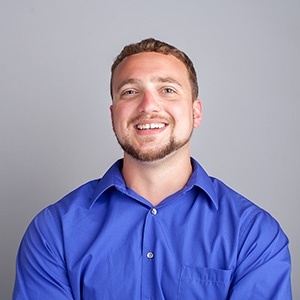 During his career at Service Thread Dane has been a valuable member of our continuous improvement team, working with manufacturing and R&D on new process development, equipment rebuilds, and new machinery installations and setups. Dane’s experience includes rebuilding cars since age 14, industrial lead technician at Meritor, and shipping and receiving for Lowes. Dane studied Business at the University of North Carolina Pembroke.